Sunflowers are easy to grow and have a lot to offer. This tall, colorful variety has several blossoms on each plant, enticing the gardener to cut some blooms to take indoors while still enjoying the display in the garden. Grow these near your garden to help attract bees to pollinate your garden, or use these fast-growing plants as a temporary screen or backdrop to the garden. Just be sure they have plenty of sun, and water regularly. Cosmos 'Bright Lights' is an easy to grow annual. It produces free-flowering, colorful blooms on bushy plants. It does best with plenty of sunshine and well-drained soil. Cosmos should be sown in the spring when all danger of frost is past. Cosmos is a prolific bloomer! Cutting the bright flowers for bouquets helps to prolong the bloom period. Net Wt. 300 mg (About 40 seeds per packet). Hot Colors For A Hot Promotion! 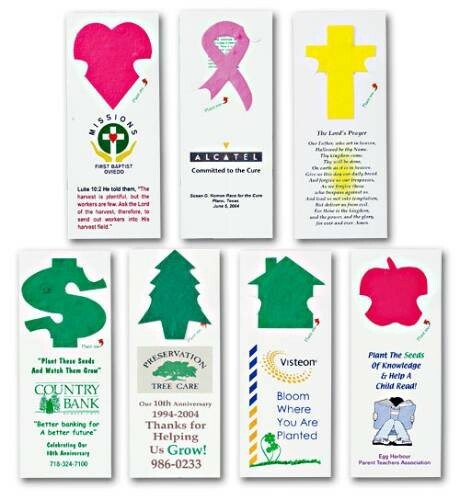 Use as advertising tools for insurance agents, realtors, and banks! 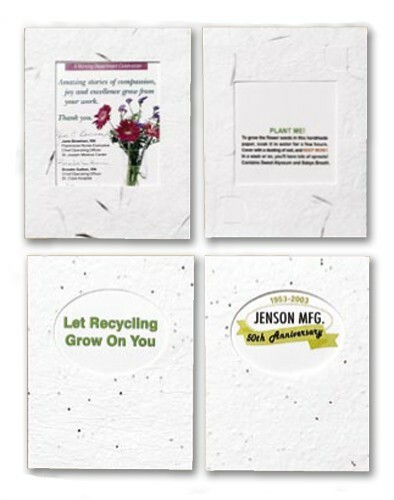 Our paper is 100% recycled linen paper embedded with flower seeds. Handmade, the paper dissolves as the flowers or herbs germinate and grow. 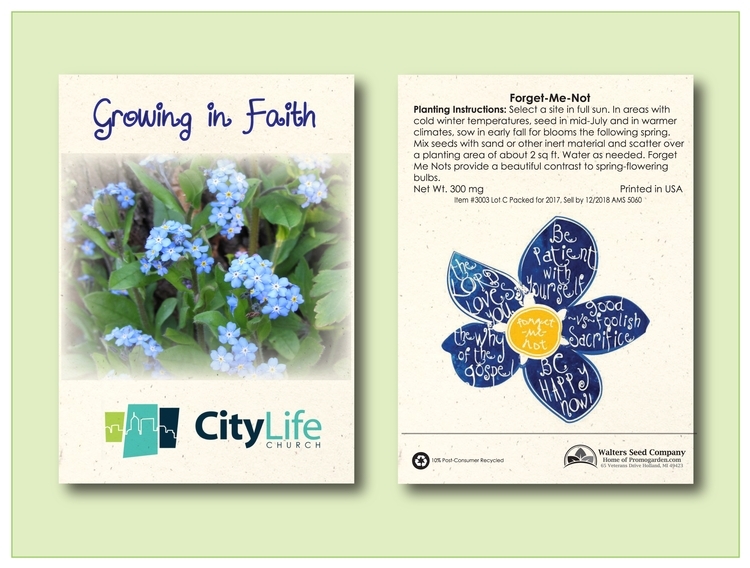 Pop-out seeds are Forget-Me-Nots. It grows in poor soil, comes back year after year, attracts butterflies, and bears showy blooms that are wonderful for cutting. 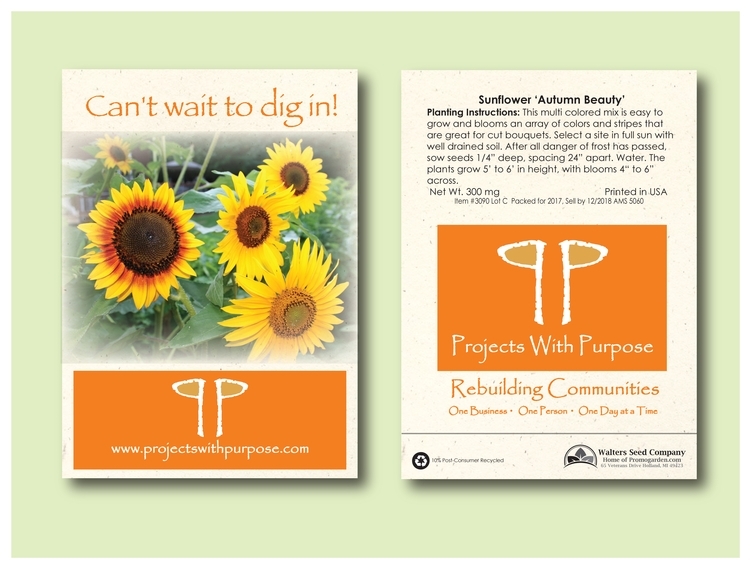 To sow, select a well-drained site in full sun and sow seeds from June through September. 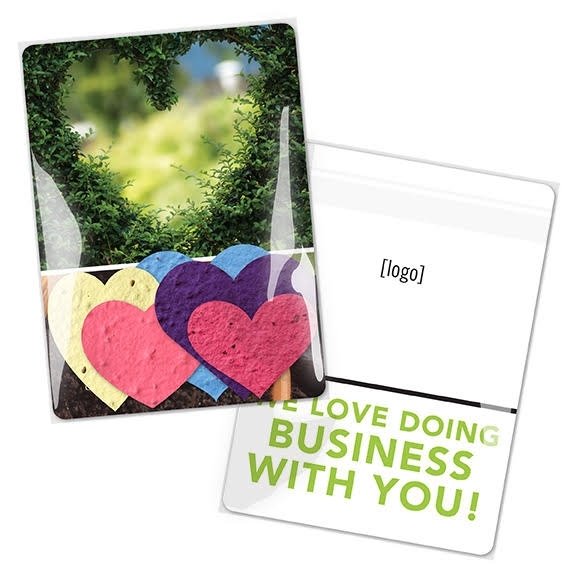 Use for environmental awareness, customer appreciation, or tradeshow giveaways. This perennial wildflower is easy to grow and blooms throughout the summer months. 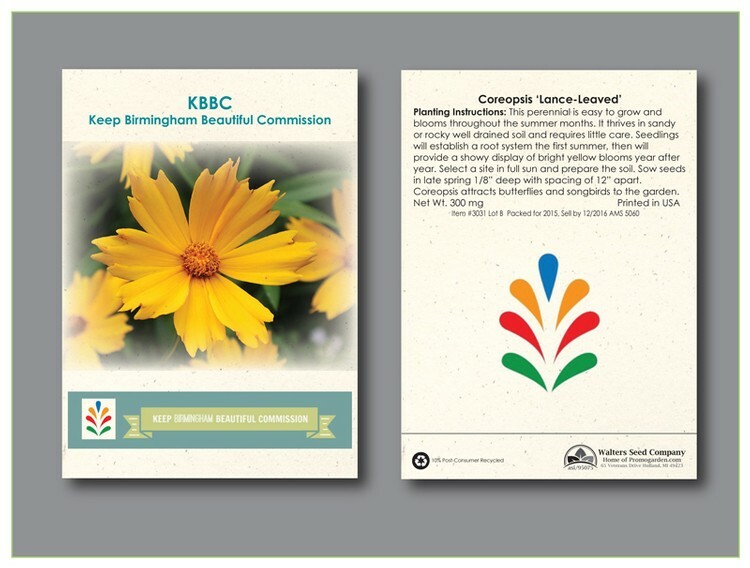 Coreopsis thrives in sandy or rocky well-drained soil and requires little care. The seedlings will establish a root system the first summer, then will provide a showy display of bright yellow blooms year after year. Coreopsis attracts butterflies and songbirds to the garden. 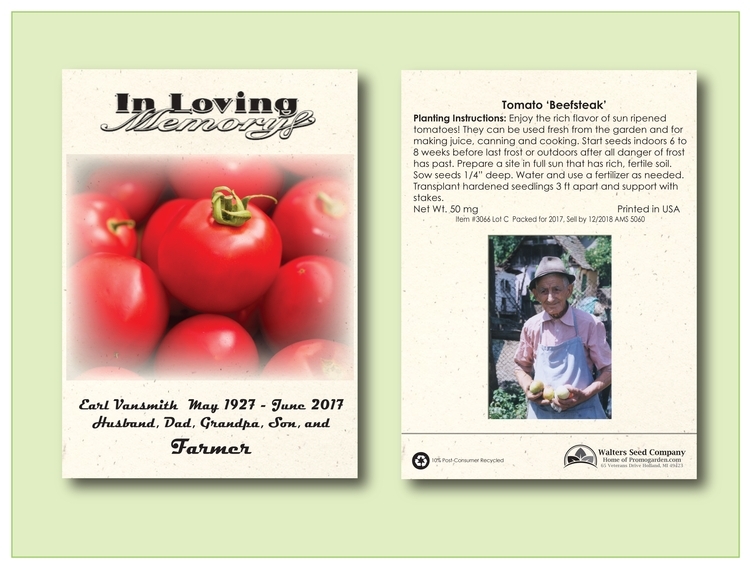 Seed packets work great for tradeshow giveaways, environmental awareness campaigns, or free gift with purchase. 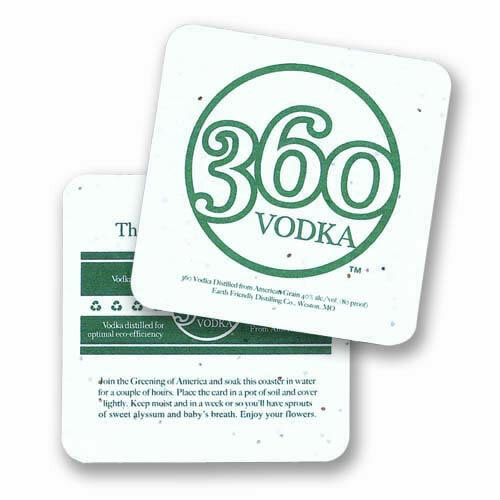 The Perfect Promotional Tool! A culinary herb garden is easy to grow and offers an array of flavors and fragrances. 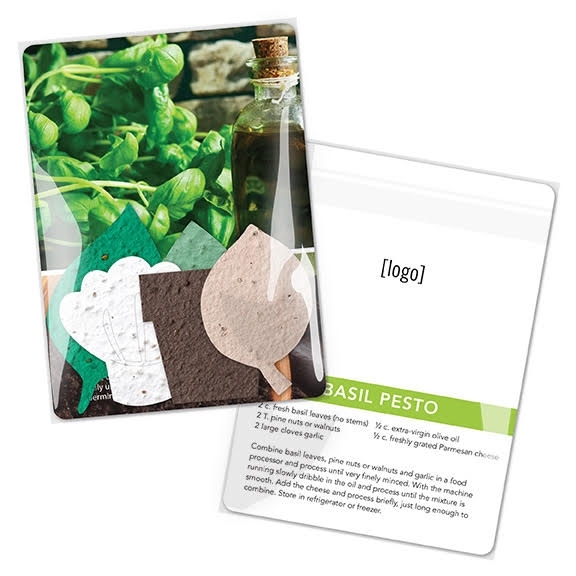 Included in this mix are Sweet Basil, Dill, Sweet Marjoram, and Summer Savory. Net Wt. 200 mg (about 250 seeds per packet). 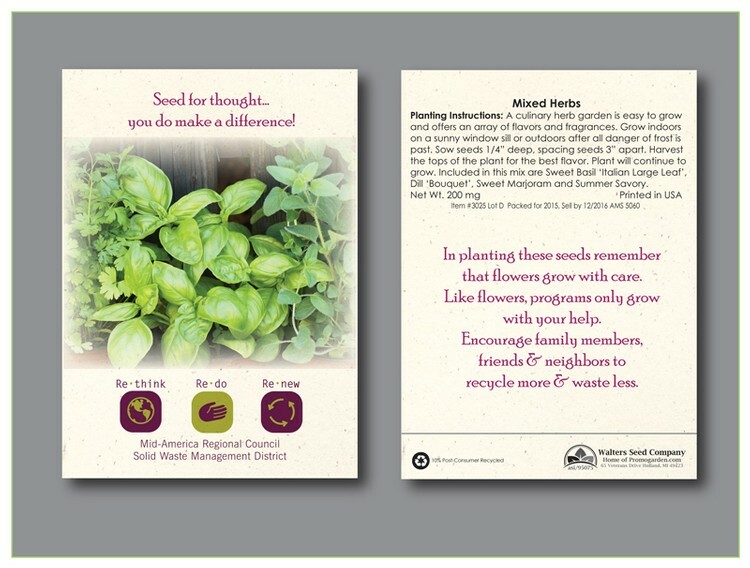 Herb seed packets are great for health & education programs, environmental awareness, and tradeshow giveaways. Color seeded paper ornament, NO IMPRINT. 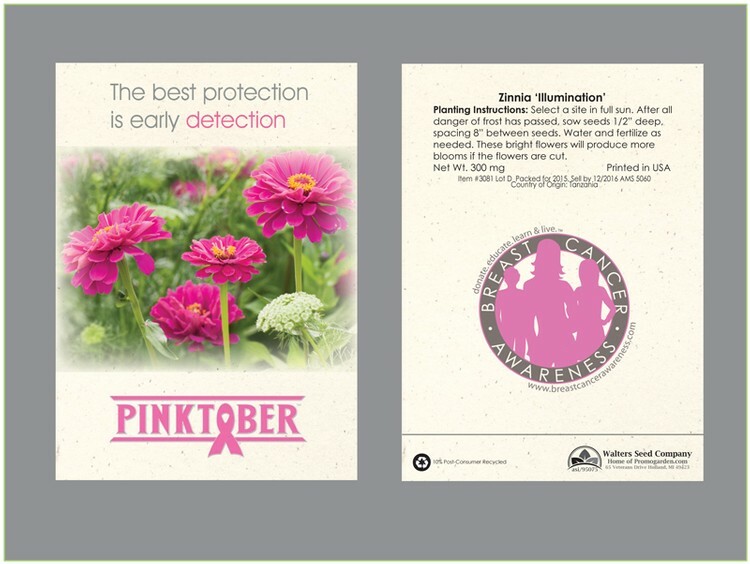 Pink ribbon shaped with ribbon. Forget-me-not seeds. 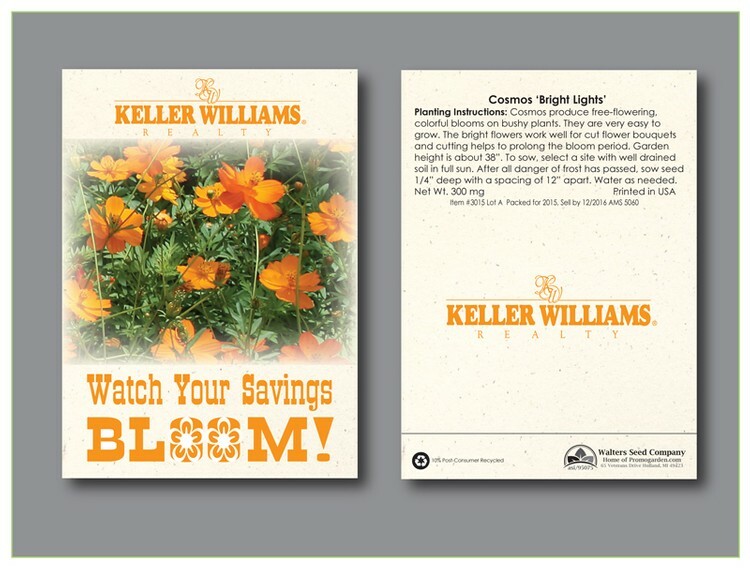 About our paper - We use 100% recycled linen paper; we conserve the world's forests. Handmade, the paper dissolves as the flower and herbs grow. We are environmentally "green". 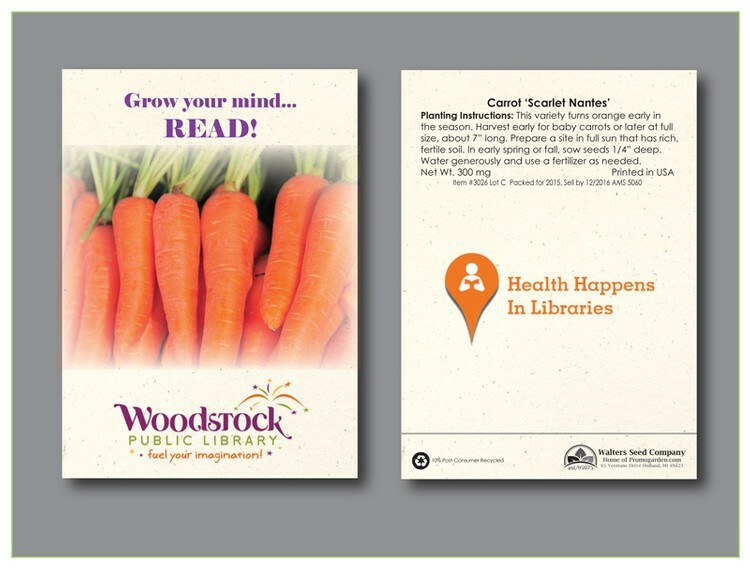 Suggested Tag Lines - Come Grow With Us. Business is Blooming. Plant a Seed. Watch your Investment Grow. Price Incudes Four Color Printing on One Side. 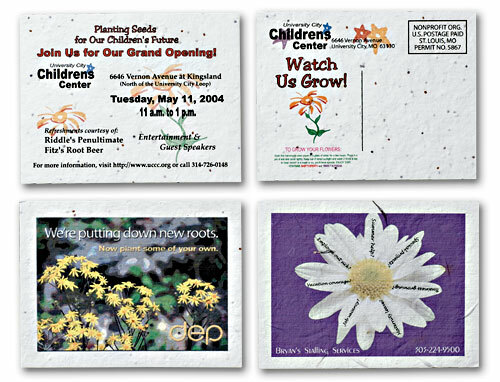 Our paper is 100% recycled linen paper embedded with flower seeds. Handmade, the paper dissolves as the flowers or herbs germinate and grow. Flower mixes can include Sweet Alyssum and Baby's Breath, Marigolds and Cosmos, Black Eyed Susan or Basil depending on the season. Ideal for Gempire Jewerly and other small gifts. 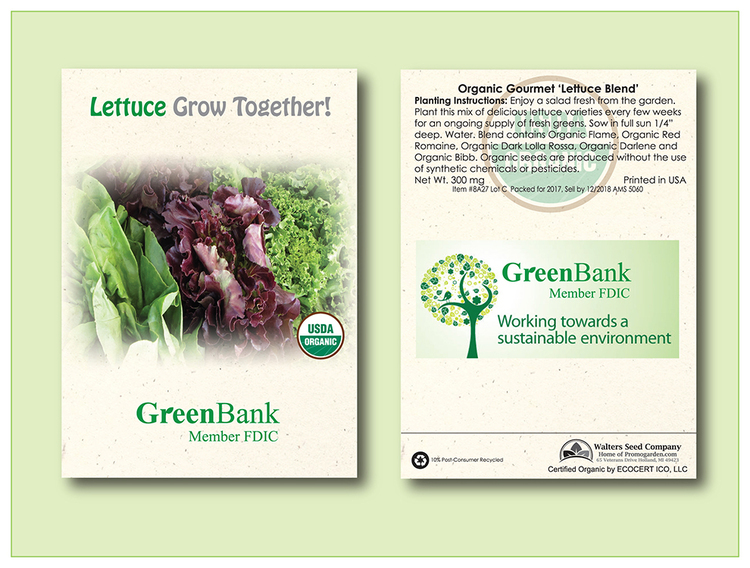 About our paper - We use 100% recycled linen paper; we conserve the world's forests. Handmade, the paper dissolves as the flower and herbs grow. We are environmentally "green". Suggested Tag Lines - Come Grow With Us. Business is Blooming. Plant a Seed. Watch your Investment Grow. Price Incudes Four Color Printing on One Side. Organic Red Cherry Tomatoes are small and sweet, perfect for snacks and salads. 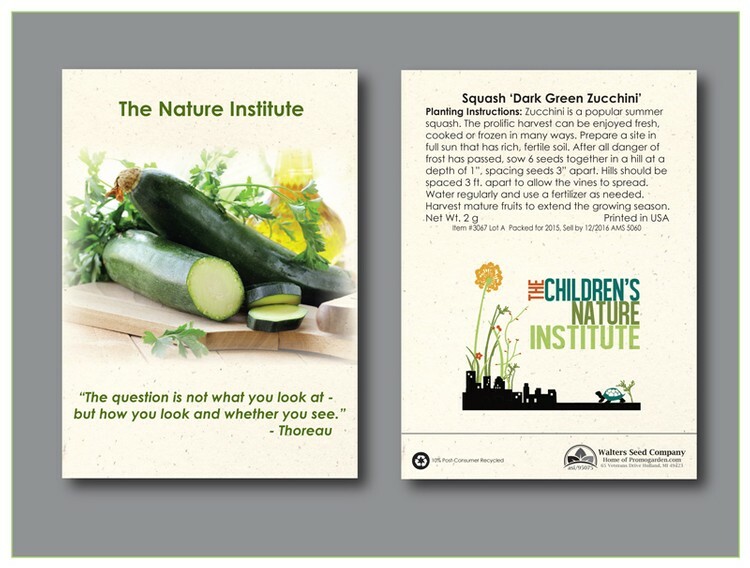 Organic seeds are produced with the use of chemicals or pesticides. Net Wt. 50 mg.
Everything you need to grow your seedling! Imprint area: Top 6.5" W x 1.5" H Set up charge $75/V ($60net) 3 Pack Herb Grow Kits. 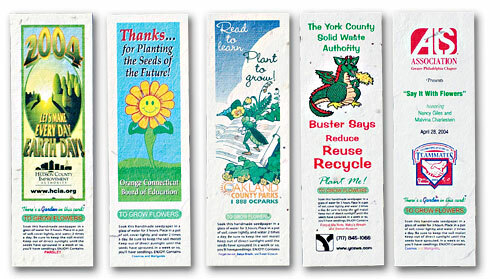 Design papper wrapper in 4 color process. 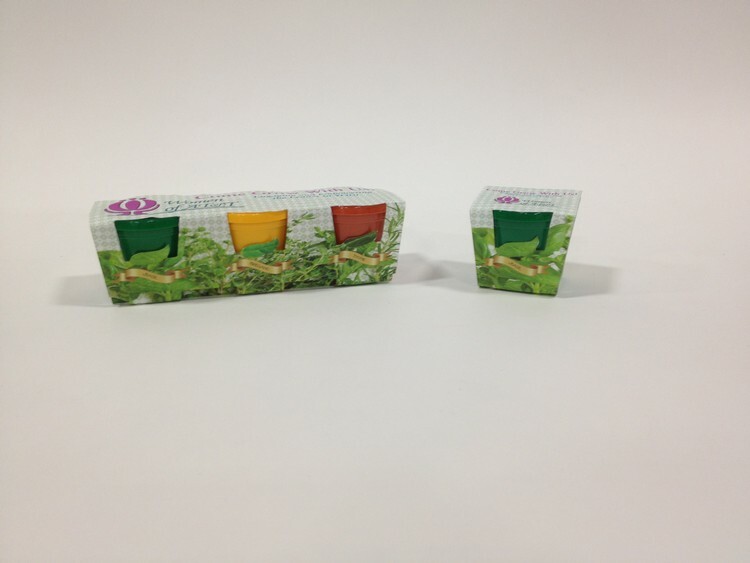 Full color Included in Herb Kit: Green Pot with Basil seed, Yellow Pot with Oregano Seed and Terra Cotta Pot with Thyme seed. Included in Flower kit: White pot with Forget Me Not seed, Terra Cotta pot with Shasta Daisy seed and Grey Speckled pot with Purple Coneflower seeds. After the seedlings reach 2-3", replace in a larger container or plant them outside. Color seeded paper ornament, NO IMPRINT. 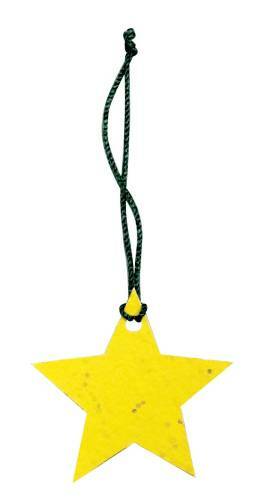 Star shaped with ribbon. Available in Yellow paper color. Forget-Me-Not seeds. 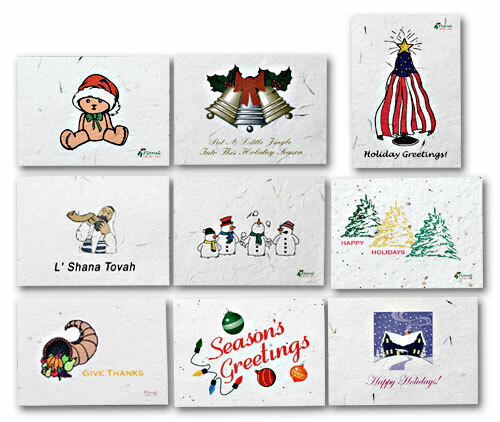 About our paper - We use 100% recycled linen paper; we conserve the world's forests. 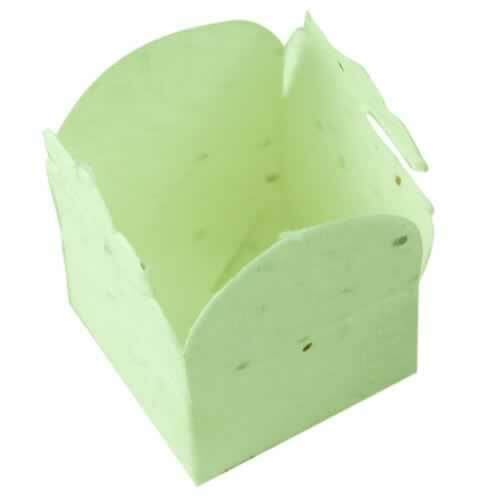 Handmade, the paper dissolves as the flower and herbs grow. We are environmentally "green". Suggested Tag Lines - Come Grow With Us. Business is Blooming. Plant a Seed. Watch your Investment Grow. Price Incudes Four Color Printing on One Side. 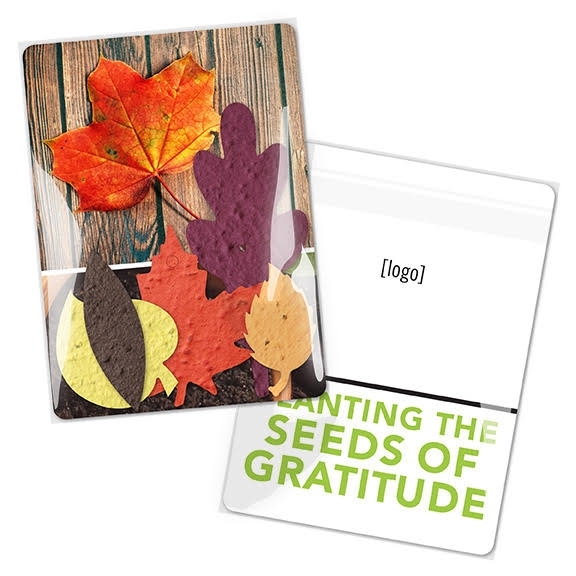 The mini gift pack features a 100% recycled info card and three letterpress printed plantable seed paper globe 1- 2.125 shapes, packaged together in a corn-based cello bag. 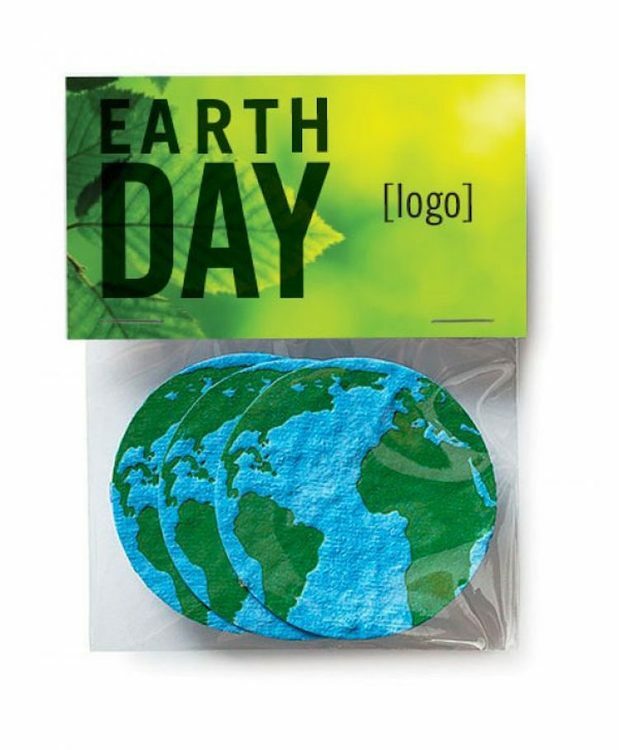 Perfect Earth Day promo, just send us a camera ready logo and we''ll do the rest.. 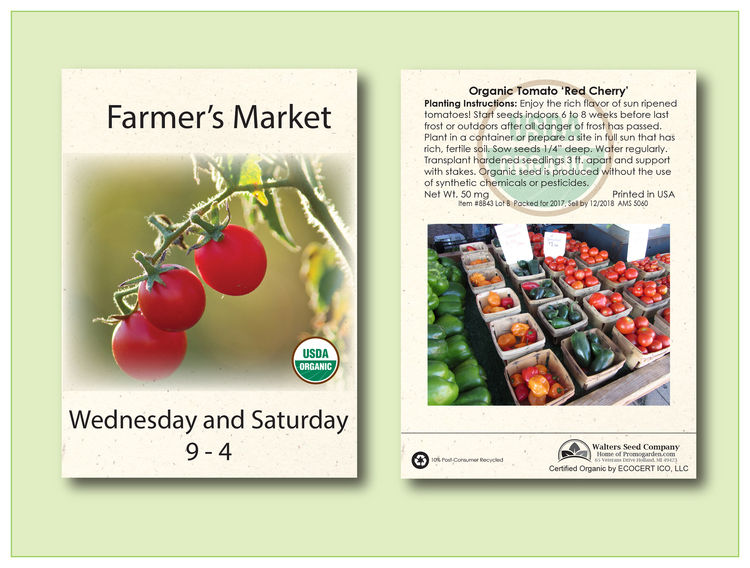 The 3"x4" info card custom printed in full color. 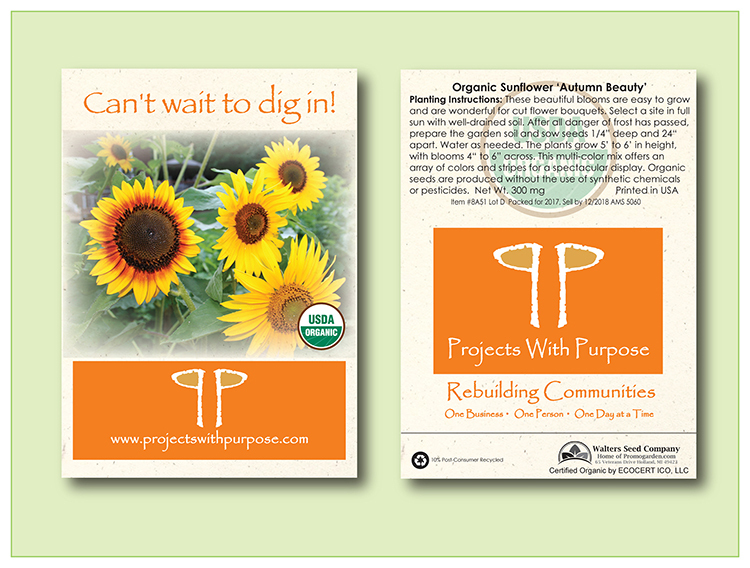 Our seed paper is 100% recycled and embedded with flower seeds. 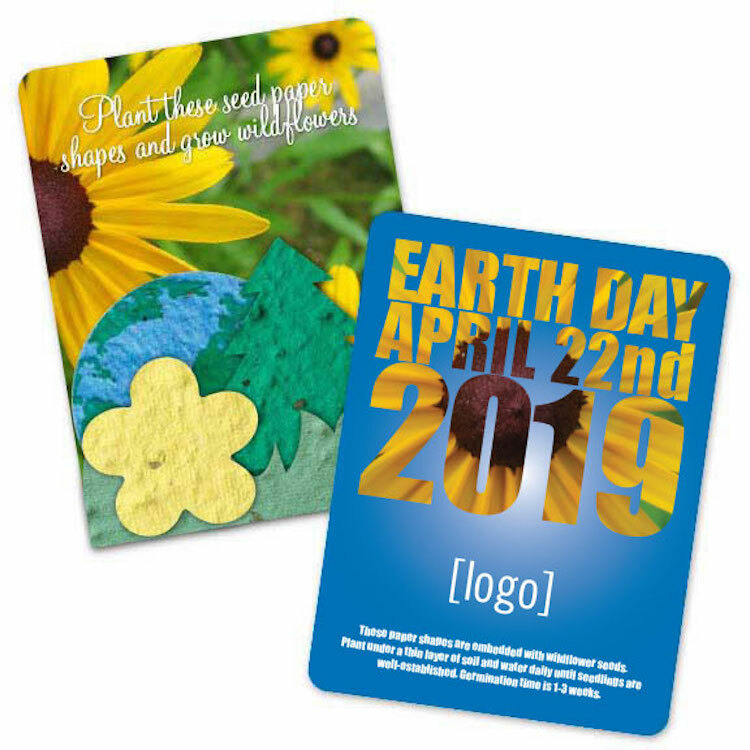 This mini-gift pack features a recycled info card and four Earth Day themed plantable seed paper shapes, packaged together in a corn-based cello bag. 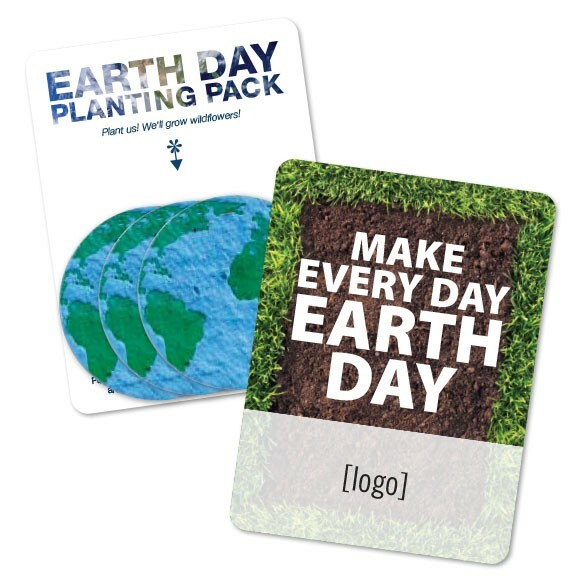 This is the perfect Earth Day promo, just send us a camera ready logo and we’ll do the rest.. The 3×4? 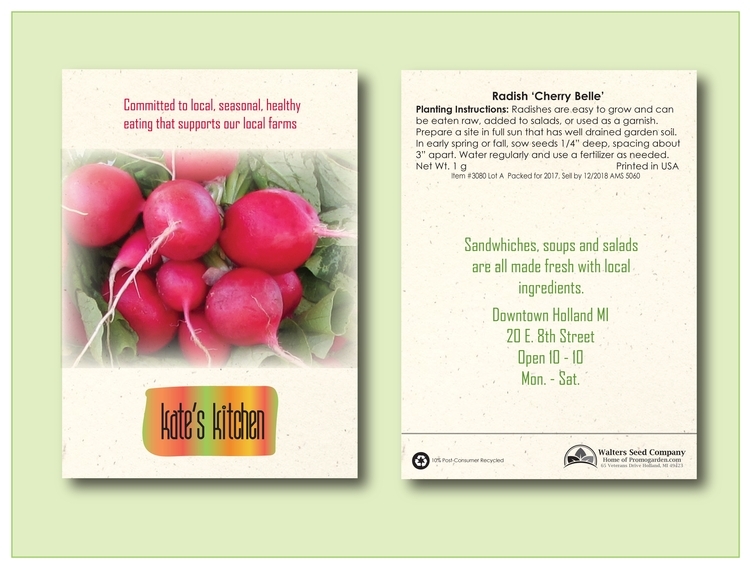 info card custom printed in full color. 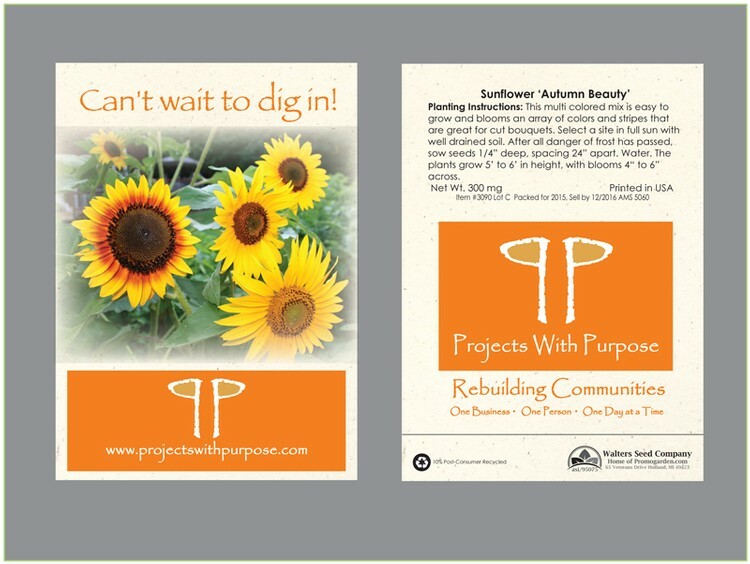 Our seed paper is 100% recycled and embedded with flower seeds.